We have both a men’s and ladies team entered in 2XU Surrey League Cross Country. The Men are currently in Division 3 and ladies in Division 2. We would encourage all runners to take part in our XC races. Each fixture is between 4 and 6 miles and of course will be off-road. Cross Country is all about a team effort and getting as many members out for each fixture is the main thing. 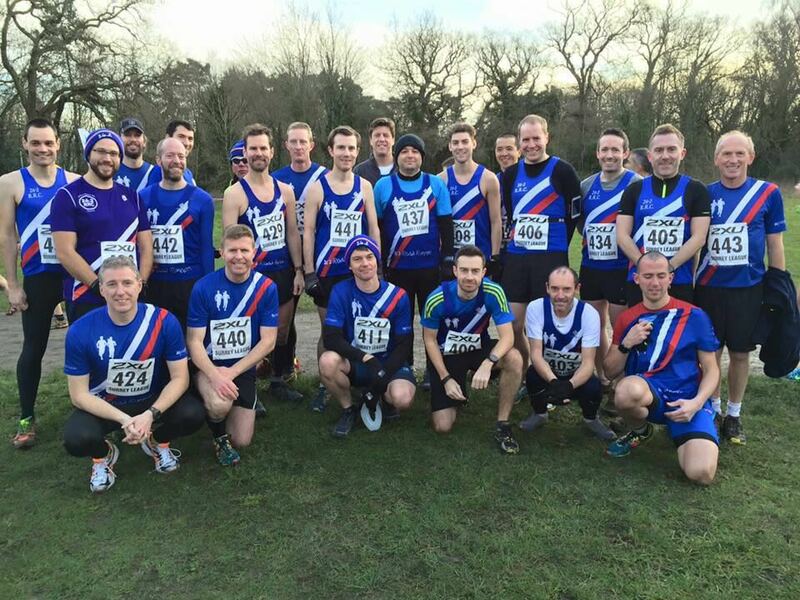 It does not matter how fast or slow you are, the main thing really is just to turn up, have a run with your club mates and enjoy the fabulous cakes and biscuits afterwards! A number of members will also meet back up in the evening for a well earned Surbiton-based curry. Unlike most races, these fixtures are both FREE and on a Saturday – leaving you with more money to spend and enjoy on your Saturday evening! We have facebook messenger groups to help organise the XC events. Please log in to get the links to join these groups. 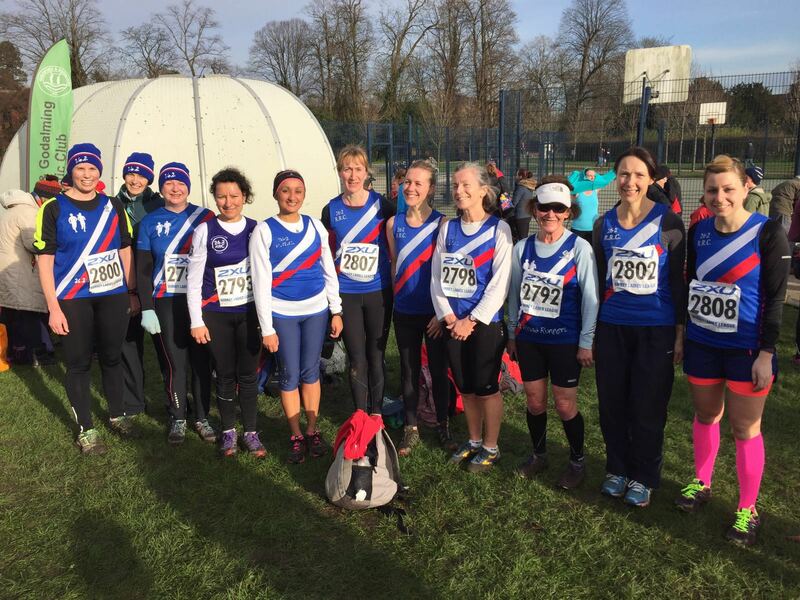 Ladies XC team at Reigate, January 2016.